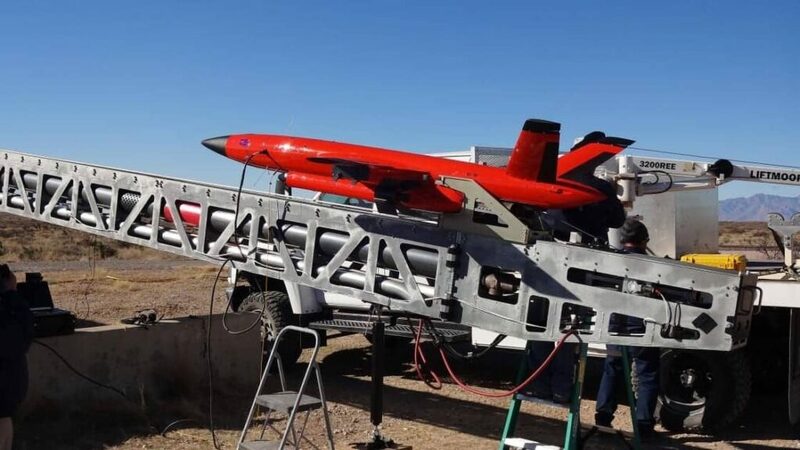 Kratos Defense & Security Solutions has announced that it has opened a new 100,000 square foot unmanned aerial system (UAS) production facility in the Will Rogers Business Park in Oklahoma City, Oklahoma. Kratos is a developer of high performance, jet powered unmanned aerial drone systems for tactical and target threat representation purposes. Kratos is opening the new facility to accommodate existing and expected increased demand for its newest line of high performance, jet powered unmanned aerial tactical and target drone systems. Kratos has selected Oklahoma City to be the production facility home for its Tactical UAS and Firejet (MQM-178) unmanned aerial target system, and plans to hire at least 350 employees in Oklahoma over the next five years to fill the high-skilled engineering, design, and manufacturing functions that will be needed to support the production contracts for these aircraft. Kratos’ jet aerial target systems support the U.S. military and foreign ally military customers/users, with its primary customers including the United States Air Force, Navy, and Army. In addition, Kratos is currently under contract on multiple high performance jet-powered tactical unmanned aerial drone systems. The Oklahoma facility is the latest in a series of expansions announced by Kratos in recent months, including significantly expanded facilities in Colorado Springs, Colorado, for its Space Communications products, and doubling of its manufacturing capacity for Training & Simulation Systems in Orlando, Florida. This is in addition to opening offices in several cities outside the U.S. to capitalize on increasing global demand for the company’s advanced technologies, including in Saudi Arabia, Australia, and Singapore.